We recently spent a week in Ireland and had a fantastic time. This was a really last minute trip so there wasn’t much planning involved other than finding good deals on places to stay. We found a great apartment on Airbnb and we ended up really loving the neighborhood. We stayed just across the river from the city center off of Leeson St. We could walk to the city center in just a few minutes but were away from all of the hotels and tourist restaurants. I have to say that I had low expectations but the food in Dublin was some of the best we’ve had so far…although we didn’t eat much traditional Irish food. Gil and I keep a running list of “The Top Ten Restaurants We Wish Were By Our House” and Dublin added a new restaurant to that list. There was an amazing Egyptian food place right by our apartment called Alladin’s Cafe that we both agreed would have to bump something else. 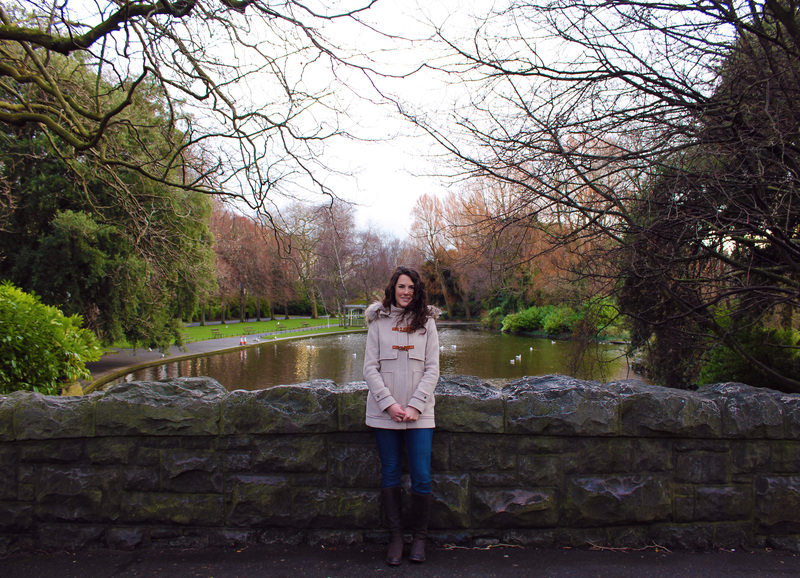 Unfortunately, I was sick with the flu almost the entire time we were in Dublin so we only managed to get out of the house one day to walk around the city. We explored St. Stephen’s Green (above), the Guiness Factory, and St. Patrick’s Cathedral (below). We were given a free tour of the cathedral with all kinds of historical information by one of the volunteers. It was so beautiful and had a really interesting history, including being the church where Jonathan Swift (author of Gulliver’s Travels and A Modest Proposal) was the dean. Our favorite part of the trip was definitely driving around the countryside and seeing the amazing coastlines of Ireland, it was absolutely beautiful. We rented a car in Dublin and drove to the Cliffs of Moher…after Gil figured out how to drive on the left side of the road! It can be cold (and windy) but I love traveling in winter because everywhere we went, we pretty much had the place to ourselves. Everything is so much more magical when you aren’t fighting your way through crowds of tourists! Of course Gil risked his life multiple times making sure he got great pictures of everything! 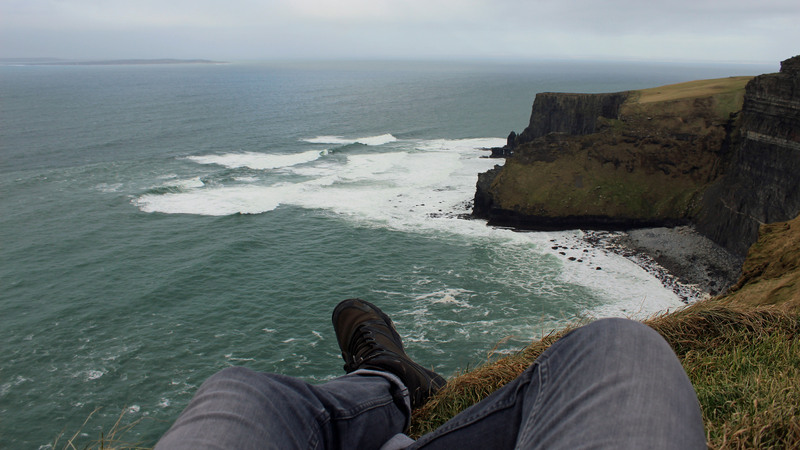 From there, we drove to Northern Ireland and spent a night in Belfast before exploring the North Coast. 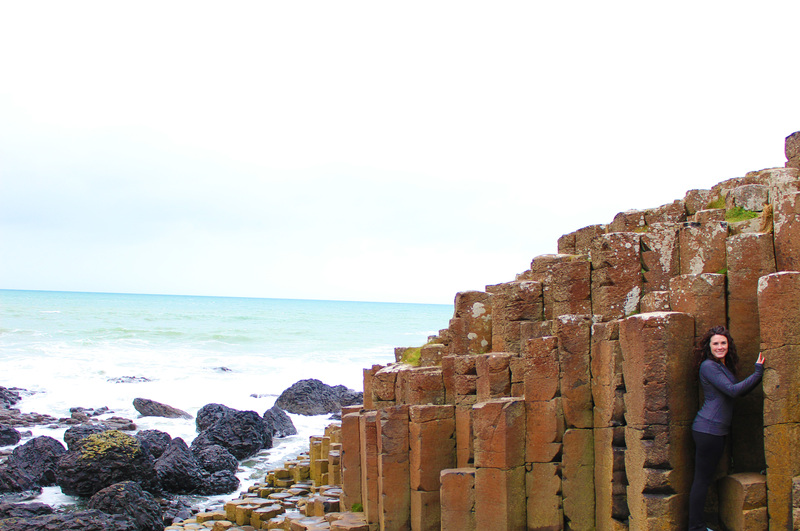 We went to the Giant’s Causeway which was such an amazing thing to see. It’s the strangest thing, the rocks just suddenly change from normal coastline to hexagonal shaped columns all lined up against each other. Crazy! It was hard to do it justice in pictures but it was so unique and beautiful! 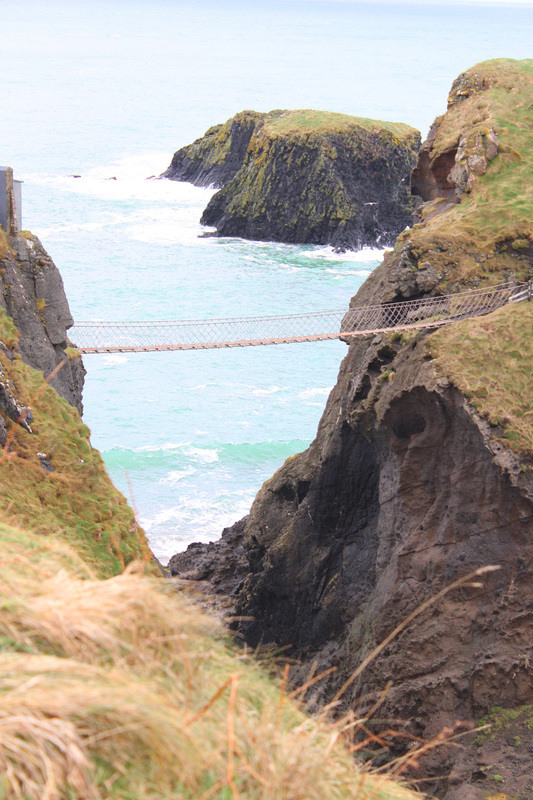 Our last stop in Northern Ireland was the Carrick-a-Rede rope bridge. 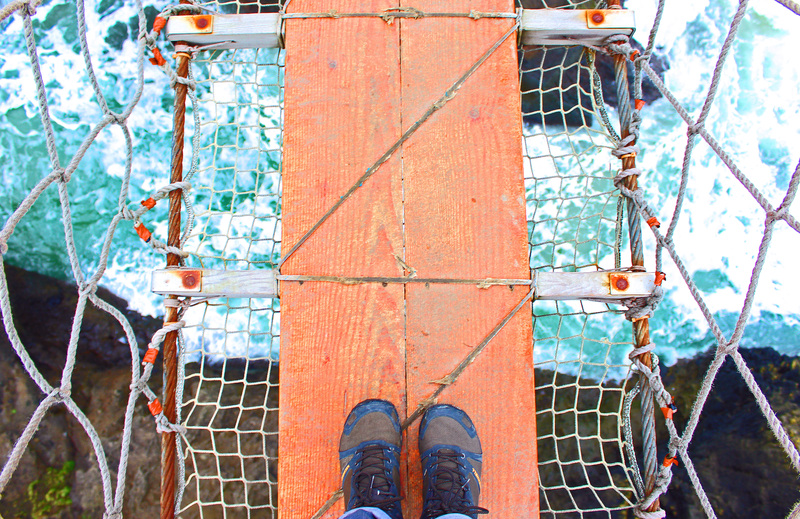 It was terrifying but I’m really proud of myself for going across it since I have a pretty healthy fear of heights! Gil was brave enough to stop and actually take a picture of what it was like looking down from the bridge, which is good since I couldn’t let myself look down at the water at all while I was actually on the bridge! 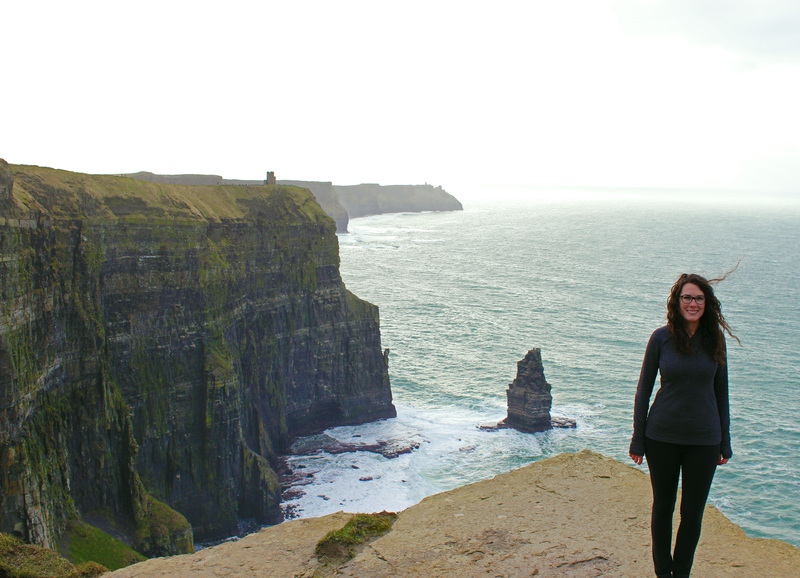 All in all it was an amazing time and we can’t wait to go back to Ireland. Next time we will definitely plan to spend even more time driving and exploring the countryside, Ireland seems like the perfect place to try to get lost and just see what you find. Gil’s video of Ireland is one of my favorites that he has made so far. If you haven’t seen it yet, be sure to check it out!